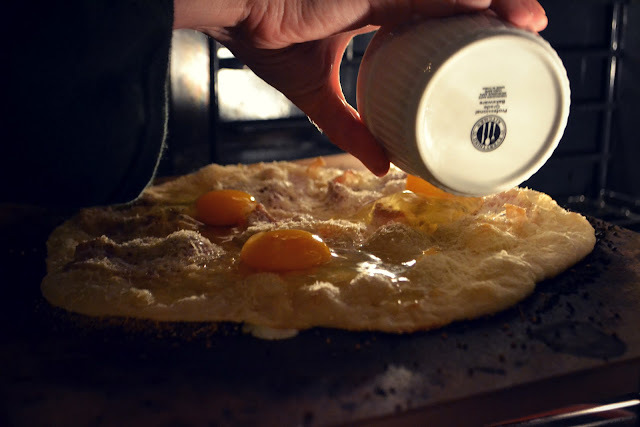 Tales of the Elsmo Four: Good Friday Pizza Pies! 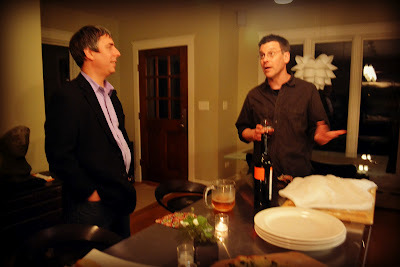 Yesterday we continued our Easter dinner tradition with the Gills. 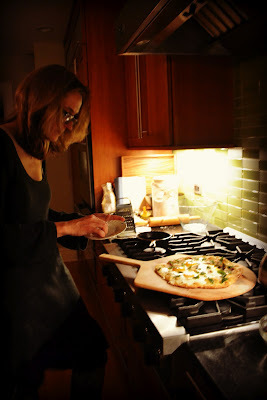 In what marked out third annual Good Friday pizza extravaganza, Sue turned out the best crust she has ever made! 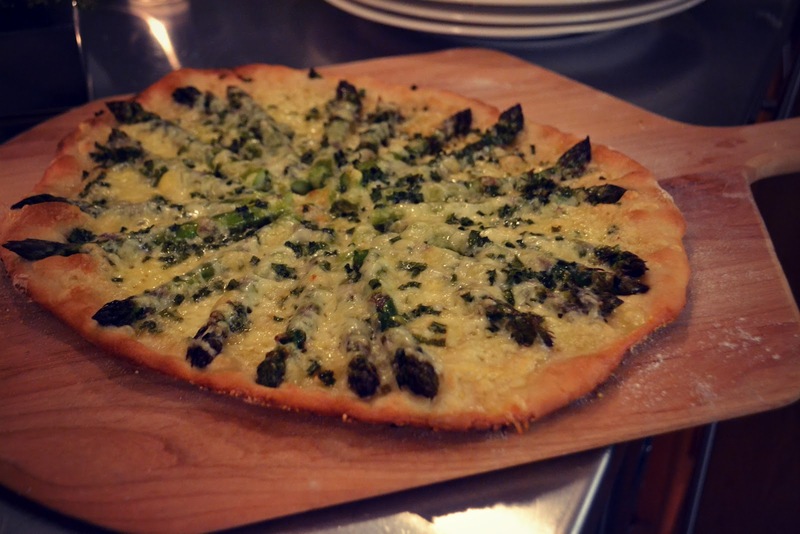 She started us off with an inspired roasted asparagus, Fontina, and chive pie on a crust that was as thin as a cracker. The pizza was a seasonal delight and set the tone for the evening just perfectly! 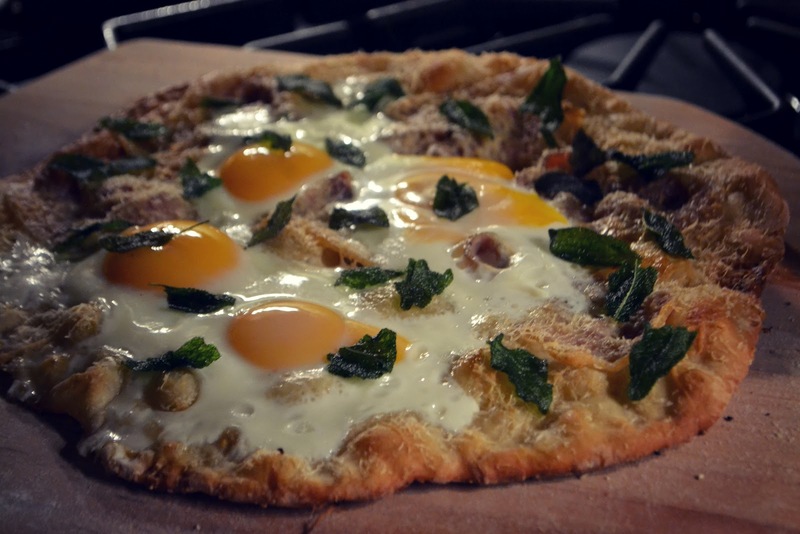 From there we enjoyed an incredible egg, pancetta, Pecorino, and fried sage pie and Sue quickly follwed an offering topped with mushroom, Talleggio, and truffle oil. 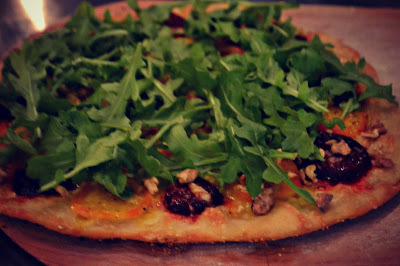 And if that wasn't enough we rounded out our night of pizza with my favorite: roasted beet, Gruyere, walnut and arugula! 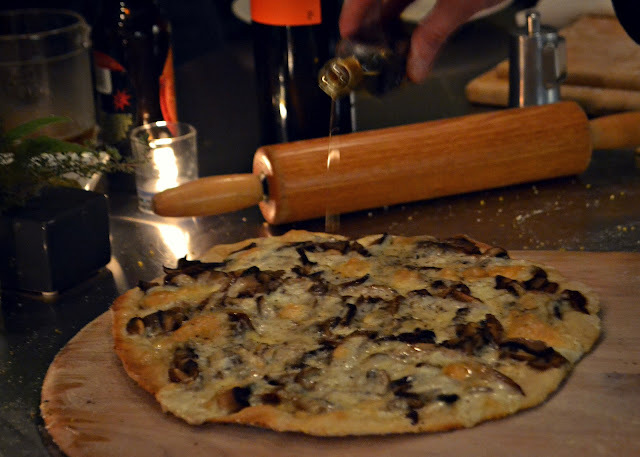 Thanks for another fantastic pizza night; it really was a good Friday!